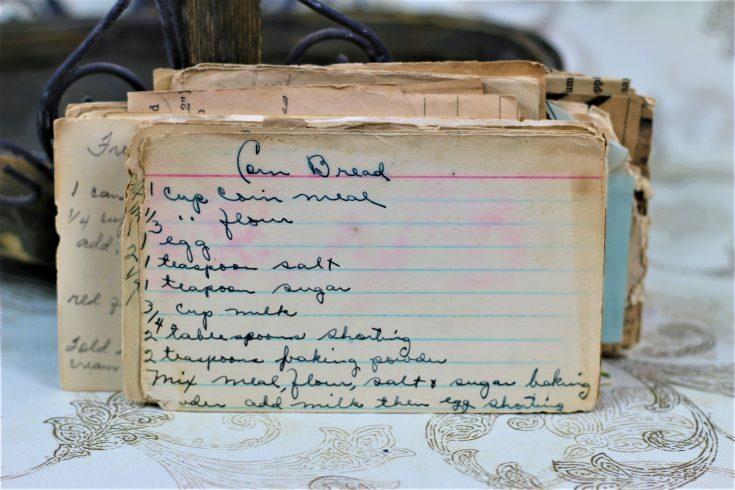 Front of the recipe card for Cornbread. The mice nibbled on this one but fortunately didn’t destroy the handwriting portions as they did on other cards from this lot. 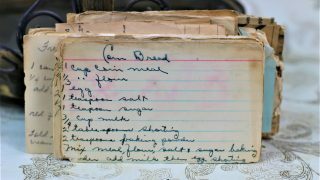 There are lots of fun recipes to read in the box this recipe for Cornbread was with. Use the links below to view other recipes similar to this Cornbread recipe. If you make this Cornbread recipe, please share your photos and comments below!